Dolphins are air breathing, warm-blooded marine mammals belonging to the order Cetacea (from the Greek word, “ketos,” meaning “large sea creature”) and the suborder Odontoceti (meaning “toothed whales”). Dolphins are highly intelligent, live in complex social structures and are part of the family of toothed whales, which also includes orcas (killer whales) and pilot whales. 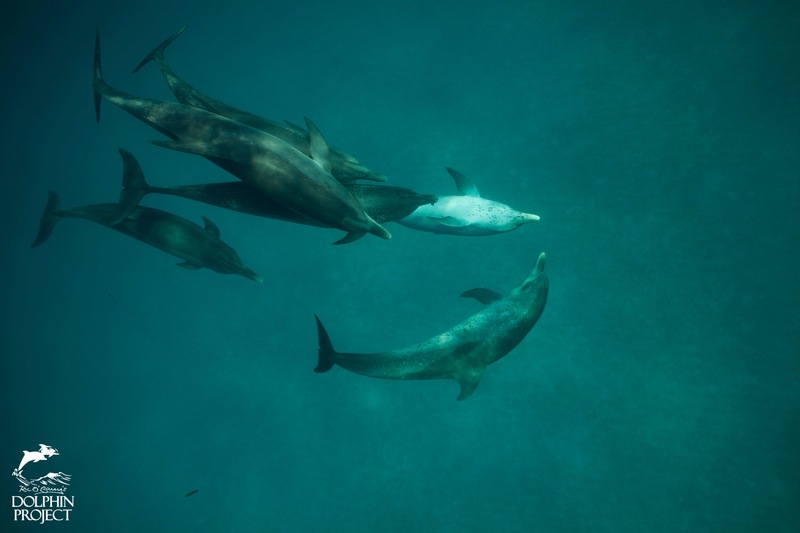 Dolphins are at the top of the food chain and thus, are highly interconnected to the health and survival of the entire marine ecosystem. To-date, there are 44 different species of dolphins, with bottlenose dolphins being the most common and well-known type of dolphin. Dolphins live in groups called pods, some boasting 1000’s of individuals. Their playful antics make them popular in human culture. 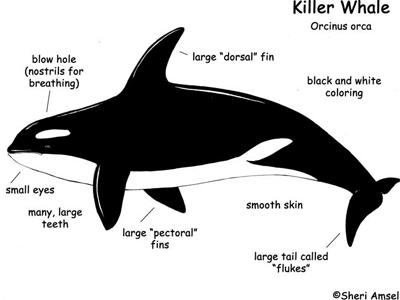 The world’s biggest dolphin is actually an orca or killer whale (Orcinus orca). Orcas have the second-largest brain of all marine mammals. 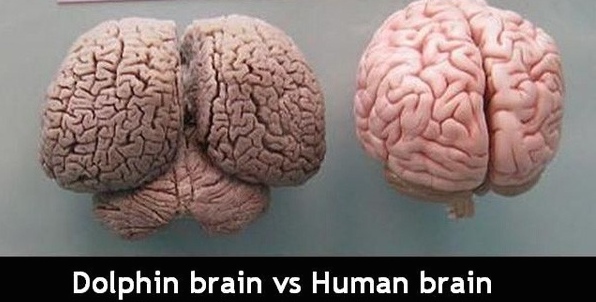 Sperm whales have the largest brains of any mammal on earth. Read more about Orcas. 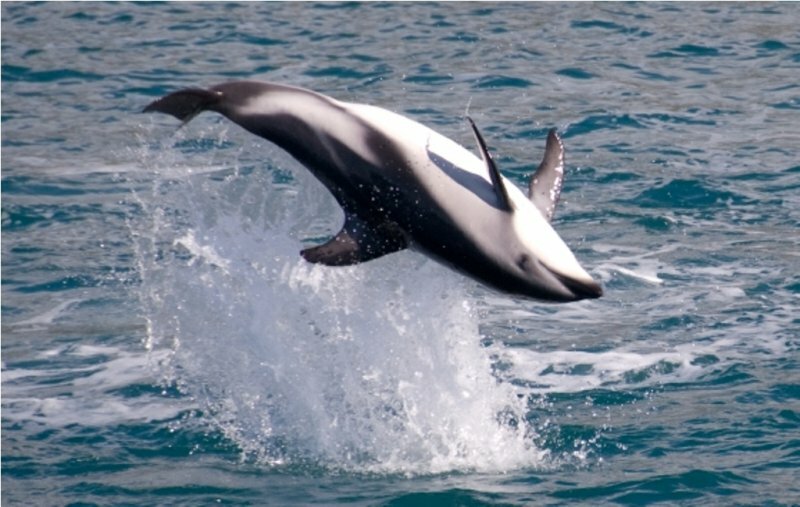 The smallest dolphin on earth…measures only about 4.5 feet in length and is the Hector’s dolphin. Dolphins are sentient (self-aware) and can recognize themselves in a mirror. Dolphins use a complex system of echolocation to navigate their surroundings and hunt their prey, bouncing high-pitched sounds off objects, and listening for the returning echoes. Their diet consists of fish, squid and crustaceans. Dolphins give birth to live young and nurse their calves from 11 months to 2 years. Family members will often remain together for life. It is not uncommon for orcas to live 70 years or more in the wild. Several species of dolphins travel upwards of 100 miles a day in the open ocean. Many species are deep divers and some only spend about 20% of their time on the surface of the water. Do dolphins sleep? Won’t they drown? Unlike humans, dolphins are conscious breathers, choosing when and how to take each breath. To prevent drowning while sleeping, only half of the dolphin’s brain shuts down while the other half remains awake. Talk about taking multitasking to the next level! Dolphins communicate via the use of several sounds, including clicks, whistles and squeaks. Studies have also shown that individual dolphins have a unique “signature whistle” which they often use when communicating with others. It is also believed that dolphins will respond to the sound of it’s own signature whistle, much in the way we would respond when hearing our own name. 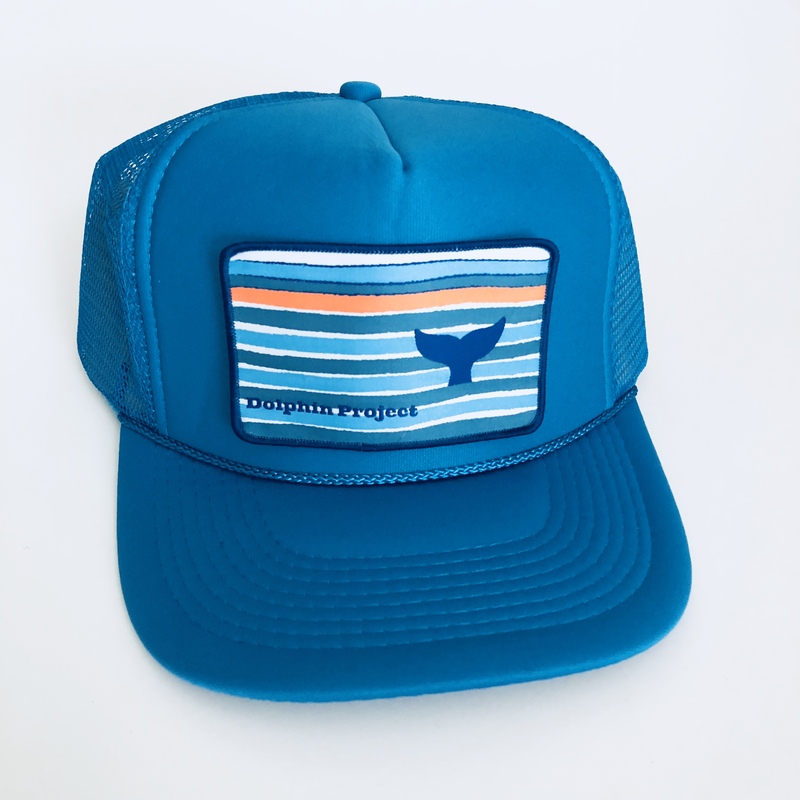 The worldwide population of Vaquita, a species of porpoise, is now thought to be less than thirty. Maui’s dolphins (a sub-species of the Hector’s dolphin) are considered one of the world’s most endangered cetaceans. 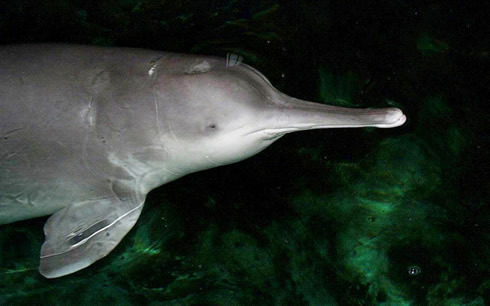 The Yangtze River dolphin, also called the Baiji, is now classified as extinct. Some terrifying facts about captivity. Wild dolphins don’t jump through hoops, dance on their tails, applaud themselves with their pectoral fins, or make squeaky sounds like Flipper the TV star. 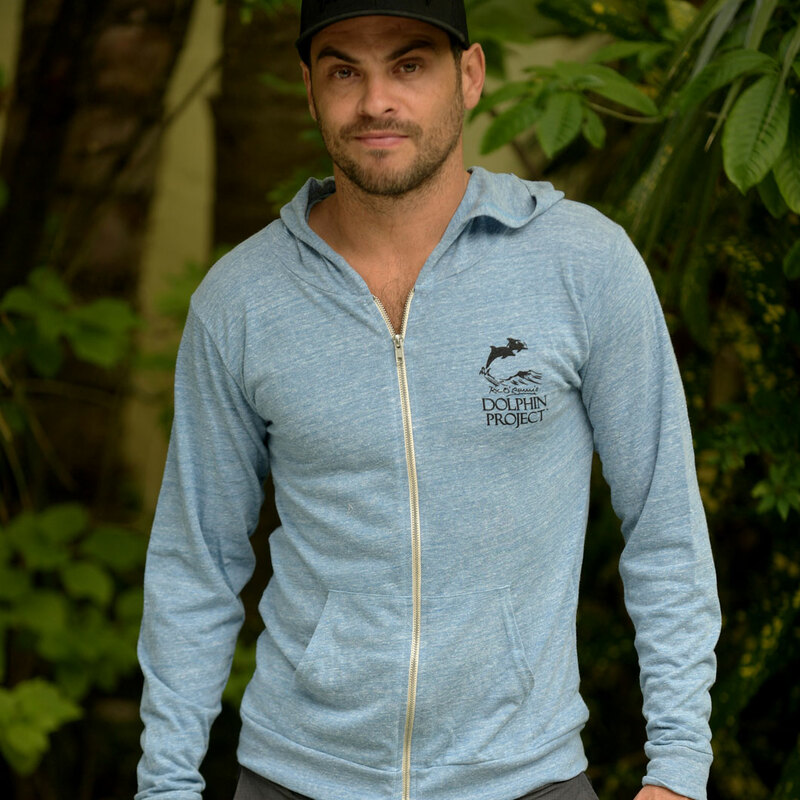 Wild dolphins do not live in artificial environments, where their movement, diet, social structure, behavior and entire way of life is manipulated, controlled and restricted. 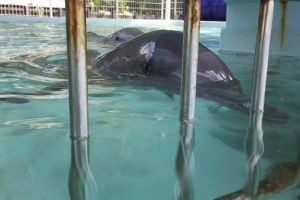 The life of captive dolphins, no matter how large the tank or “state-of-the-art” environment is not natural, is not clever – it is abusive. Dolphins perform in captivity to be fed and to stay alive. It is a display of dominance, nothing else. The worst part of a captive dolphin show? It teaches children that it’s okay to mock and disrespect one of nature’s most fascinating ambassadors. The entertainment industry profits from twisting a beautiful and sentient species into a parody of itself. What happens when the show is over and the audience is gone? Nothing. Most dolphins languish in their cages or tanks and wait until the next show, or next feeding. 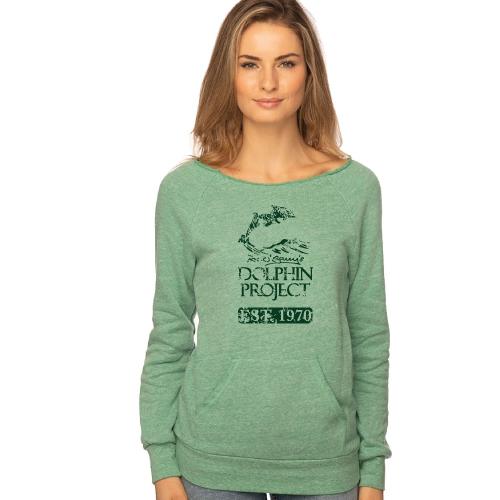 THE ULTIMATE QUESTION: Why aren’t dolphins afforded global freedoms and protections? 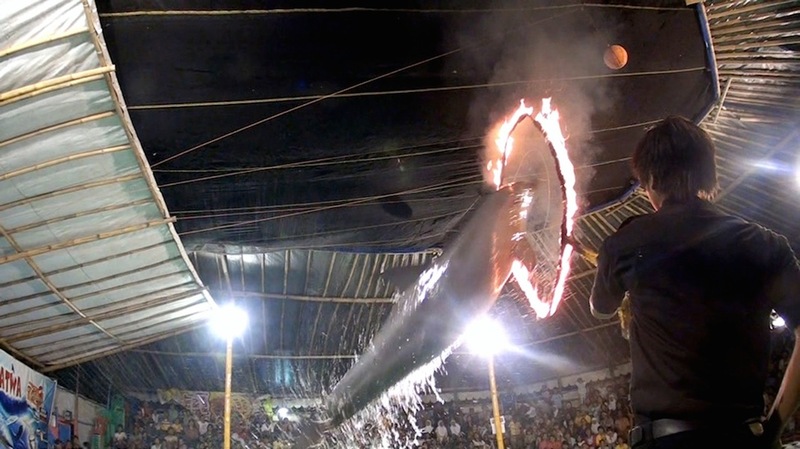 India has abolished the use of dolphins in aquatic theme parks, rejecting any proposal to establish a dolphinarium that involves the import and/or capture of cetaceans for entertainment or exhibition. A crucial precedent has been established that could eventually spread to world condemnation of keeping dolphins in captivity. Dolphins are highly intelligent, highly sensitive and should be seen as “non-human persons” with their own specific rights. Simply put, it is morally unacceptable to keep them captive for entertainment purposes.